Please advise. This is a product plan that we've paid for. I need this back up and running. Has this exact same query worked for you before? As the error says, it seems you're using a combination of metrics and dimensions that do not go together. 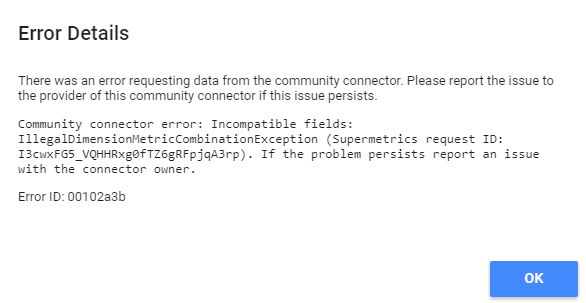 Please try changing the query setup.